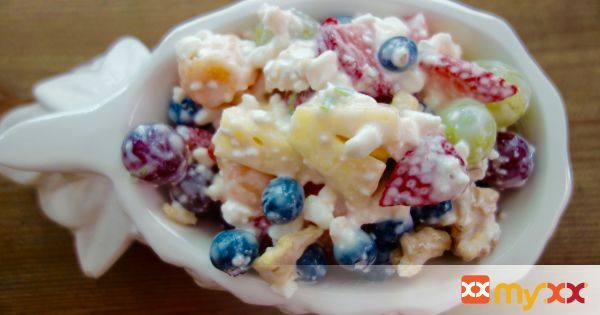 I absolutely love a simple fruit salad mixed with cottage cheese for some protein. This is perfect for breakfast, lunch, side or a snack. You could even throw this in the blender the next day with some ice and milk to make a smoothie. You can really use any combination of fruit here, (except watermelon because its too watery). 1. Combine all ingredients into a mixing bowl and mix. Refrigerate until ready to serve.